He was referring to the catastrophic fire that ravaged the library in 1986, a fire that burned more than 400,000 books and damaged another 700,000. Orlean, who had no previous knowledge of the fire, was fascinated. And while she didn’t know it quite yet, she had stumbled upon the topic of her next book. Even so, she would come to burn a book of her own—for research purposes, that is. As she learned more about the fire that consumed the Los Angeles Public Library on April 29, 1986 (a story that was buried in the news cycle because the Chernobyl disaster took top billing that week), Orlean knew she’d have to dig deep. She spent years researching arson, libraries, and the history of the Los Angeles Public Library, a process that entailed interviewing scores of librarians, employees, patrons, firefighters, the suspected arsonist’s family, and others as she investigated what exactly happened on that April day in 1986. And yes, she burned a book—Fahrenheit 451, as suggested by her husband after she agonized over what book she could possibly bring herself to burn. She did it all in the name of telling the story of not only this particular library fire, but why libraries hold such a special place in our lives and the larger culture. That emotional connection to libraries is a big part of what drove Orlean to write The Library Book. 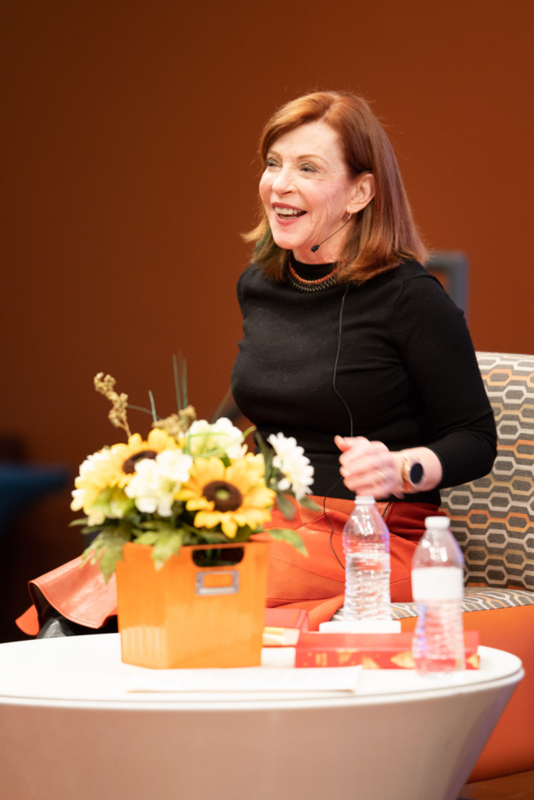 Orlean, who grew up in Cleveland and regularly visited the Bertram Woods branch of the Shaker Heights Public Library as a child, credits her upbringing with helping prepare her for the writer’s life. Finally, in addition to discussing The Library Book and her love of libraries, Orlean also offered some insight into her writing and research process. She encouraged aspiring writers to embrace their curiosity and to tell the stories that have not yet been told. 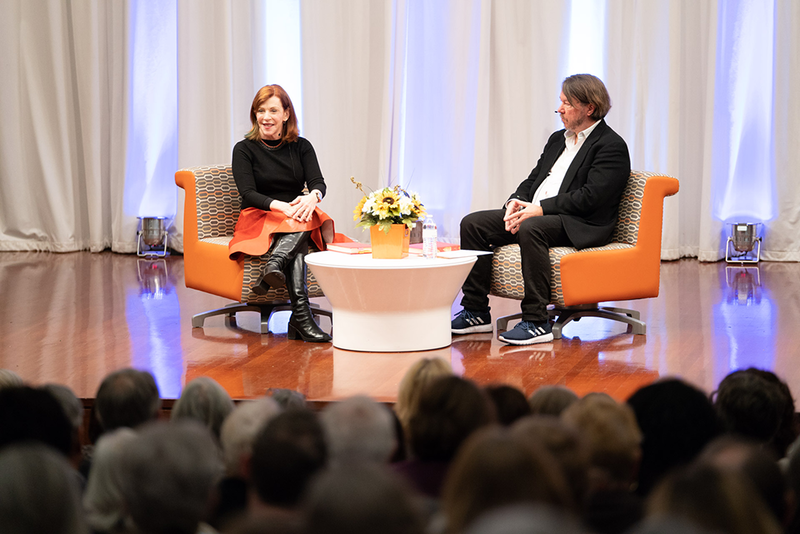 Susan Orlean’s appearance marked the final author event in the Library’s 2018 Writers & Readers series. Read about the other author visits here: Benjamin Percy, Paul Beatty, and José Antonio Vargas.